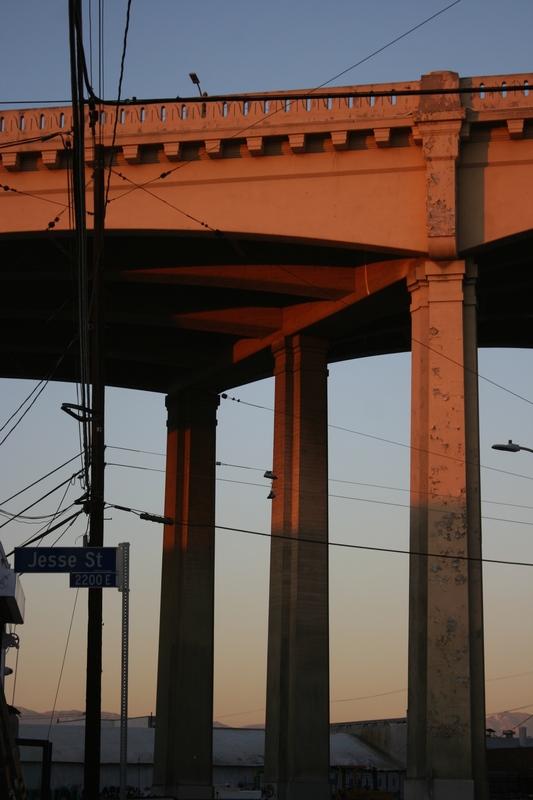 Sixth Street Viaduct, Los Angeles | ride. travel. live. Another post about a doomed structure. 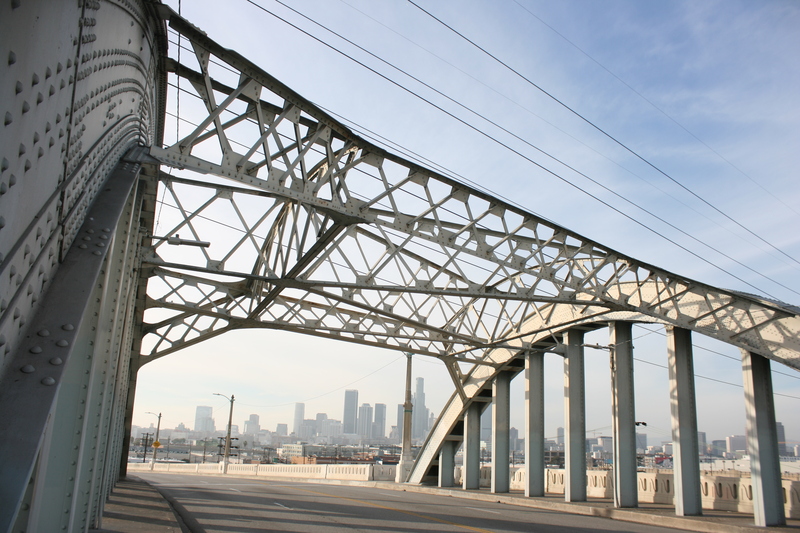 This is LA’s grandest bridge, and at 3500 feet in length, the longest span over the industrial LA River basin. 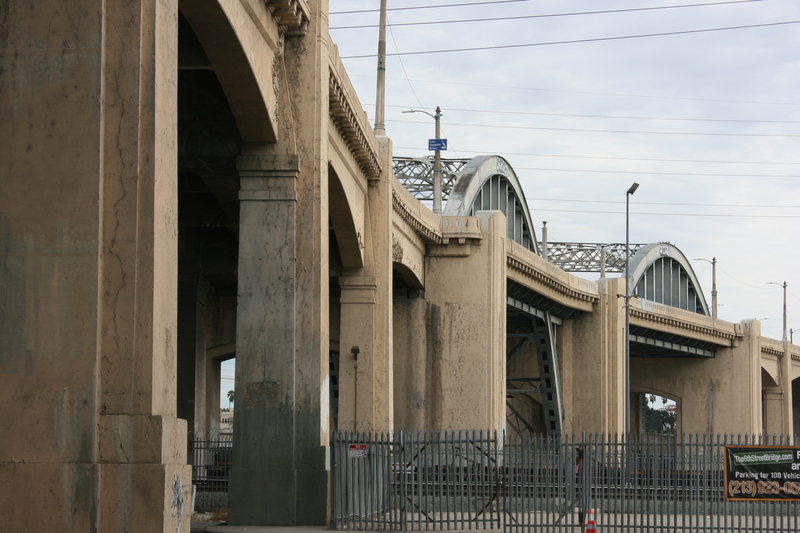 The Sixth Street Viaduct (Bridge) is one of the city’s most recognized landmarks, seen in countless movies, commercials, and photos. There’s usually someone filming in the river basin below, and plenty of photographers in the area, despite the rather desolate setting of the immediate area. 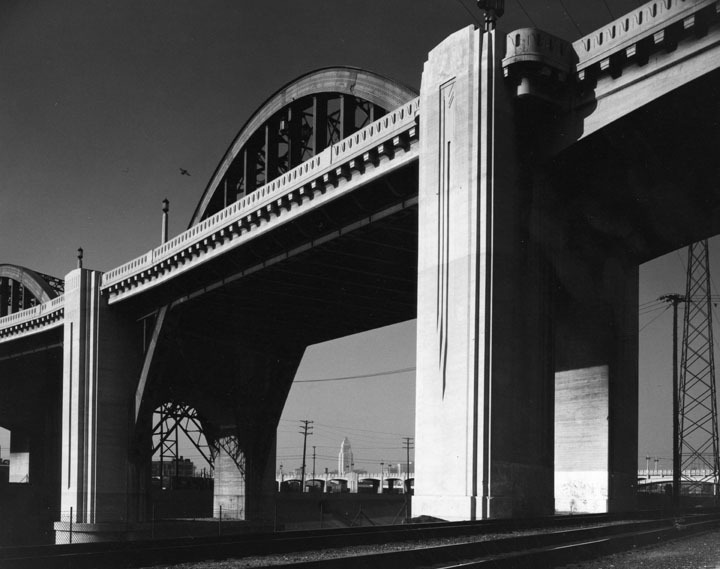 Technically, it’s a viaduct, crossing the river and several 1950s-era freeway spans before becoming Whittier Blvd. in Boyle Heights. The design is classic Art Deco, with a graceful, asymmetric double arch where it bends and crosses the river. The eastern entrance is a modified, angled obelisk, with a classic view of downtown LA in the distance. Soaring over the industrial flats east of the LA River. It’s also crumbling, the concrete mix used in construction was faulty, and the structure was deteriorating from the start. The bridge was completed in 1932, and demolition will start in summer 2015. Fortunately, the replacement bridge is a stunning design with a clear nod to the old one. View from near Santa Fe Avenue, January 2014. LA skyline from the bridge. A closeup view shows lots of loose concrete, plenty of cracks, and structural damage. The structural problems led to many changes in the architecture of the bridge over the years. The fancy central pylon was removed a few years after completion, and the piers at the ends of the arches were shortened. 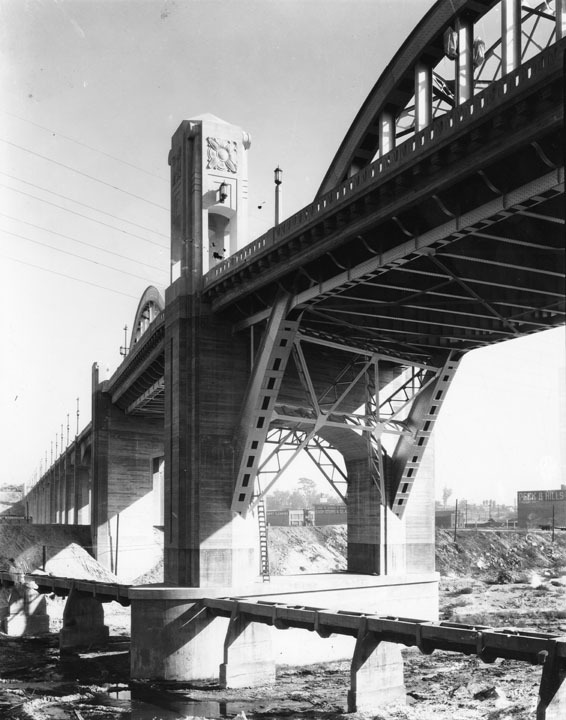 The Sixth Street Bridge as is appeared shortly after completion. Note Art Deco central pylon. Photo from LA Public Library collection. The bridge as it appeared in 1950, with the central pylon removed. Photo by William Reagh, from the LA Public Library collection.